Masks Collection. Silver & Titanium handmade chainmail Necklace. Mask Collection, titanium, silver and 9ct gold. 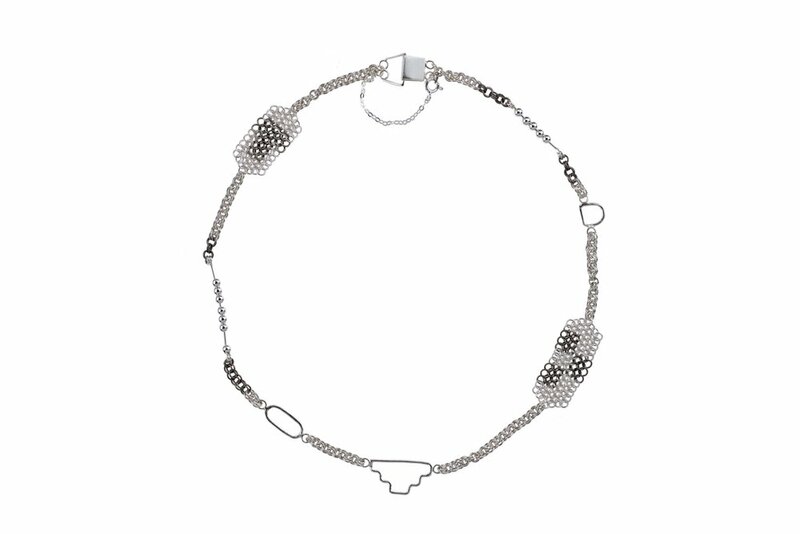 Inter-Woven Collection Collar Necklace - titanium, silver and 9ct gold. Reflections collection chainmail cuff. Titanium, silver and gold. Reflections Collection Necklace handmade chainmail and carved horse. 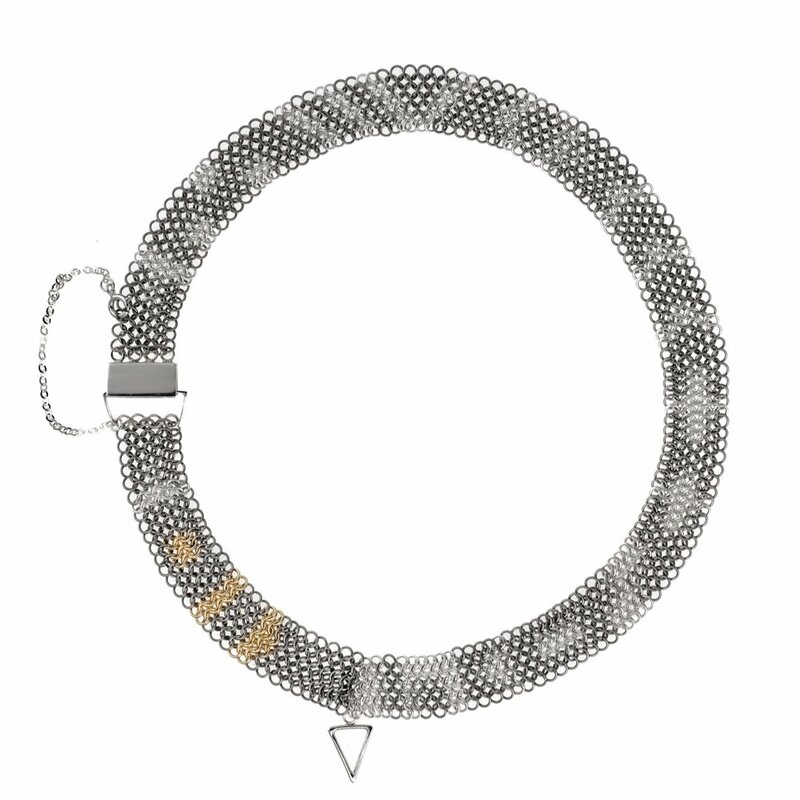 Ravens Tail Collection- oxidised silver, titanium, silver and 9ct gold, Chainmail collar necklace. Ravens Tail chainmail ring - silver and titanium. Keep up to date with offers, events & exhibitions by signing up to our mailing list.